Romance, the people and great hair, these are the things you’ll look back on from your wedding day. From Up Do’s for I Do’s to romantic braids, Brisbane wedding hair stylist’s at Unsurpassable hair have got the experience and desire to meet your hair dreams. 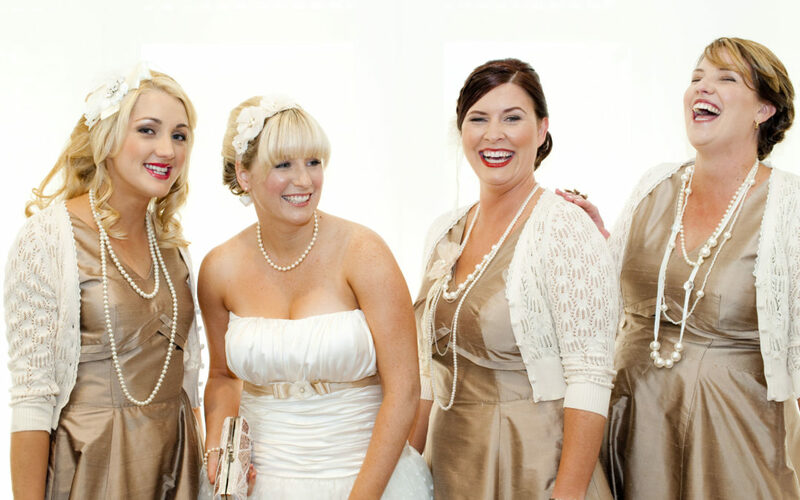 At Unsurpassable we’ll ensure that you and your bridal party are pampered to look and feel fantastic. As the bride, all eyes are on you, you’ve got to look your best, so let us take the pressure off. You can text or email your stylist with your hair and makeup inspirations or if you’re struggling we can give you some options to help create your wedding day look. We are passionate about finding the perfect style to match your complexion and face. We’ll even make sure your hair style matches your wedding colours and the dress! Whether your look is that of timeless elegance, bohemian chic, natural or bold Brisbane wedding hair stylists at Unsurpassable Hair will ensure your hair is on point! There’s something very special about spending the day getting ready with your girls and indulging in some pampering. We’ve got Bridal Party Packages to allow the stress to dissolve and undertake your vision for the bridesmaids, as well as having a whole lot of fun! We care about your hair and skin so only using the highest quality products. Brisbane wedding hair stylists at Unsurpassable can even colour and treat your hair before the big day to ensure your locks are lush and you’re happy with how you look come the wedding. We also have waxing and tinting services so if you’re needing some work done before we can take care of that too. To ensure you enjoy your time getting ready we can travel through South East Queensland to you so you can relax in the comfort of your hotel room or home. For romantic locks and beautiful makeup be sure to enquire at Unsurpassable hair, Brisbane’s best wedding hair stylists. Wedding photos last a lifetime so ensure your hair and makeup are stunning with us.